Ota-cool Incoming: I’ve been waiting for this day! This week in Otaku Ohana: The Honolulu Museum of Art, in conjunction with Kawaii Kon, announces its lineup for “Japanese Cinema Spotlight,” a month’s worth of Japanese film screenings at the Doris Duke Theatre — including many popular anime and anime-related films screened in Honolulu this year — as a way of leading up to a major exhibit on Japanese street fashion opening at the museum next month. Blogger weeps openly. Indeed, local otaku, your busy October — which, as you may recall from previous posts, includes an Anime Day, an Anime Ohana, Ingress First Saturday, a Gamer Expo, Boruto and live-action Attack on Titans, and of course National Cosplay Recognition Day Halloween, has just gotten even busier. Attack on Titan: Live-action humans taking on CGI Titans? Sure, the movies have been getting skewered by awful reviews, but you know what? We’ve been waiting for this day! (Hopefully with fixed subtitles. Sorry for your misfortune, San Francisco, but thanks for something that will be endlessly meme-able for a 24-hour cycle.) Part 1, 7:30 p.m. Saturday, Tuesday and Thursday; Part 2, 7:30 p.m. Oct. 20, 22 and 27. 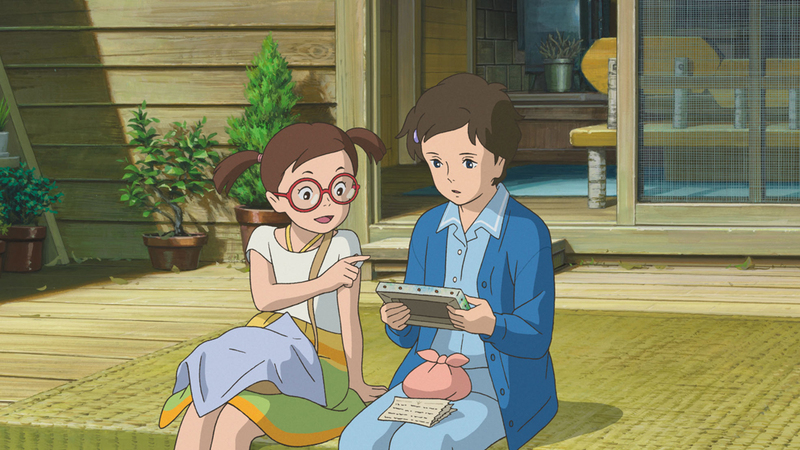 When Marnie Was There: Studio Ghibli’s last film for the foreseeable future had a short run at the Hawaii International Film Festival’s Spring Showcase in April, then a wider theatrical release in June. It’s actually out on home video on Tuesday, but hey, the theater experience is always better, right? Based on the novel by Joan G. Robinson, the story follows Anna, a foster child and a bit of a loner who finds a mysterious new friend, Marnie, during a summer stay in Hokkaido. 1 p.m. Sunday, Tuesday and Oct. 10. 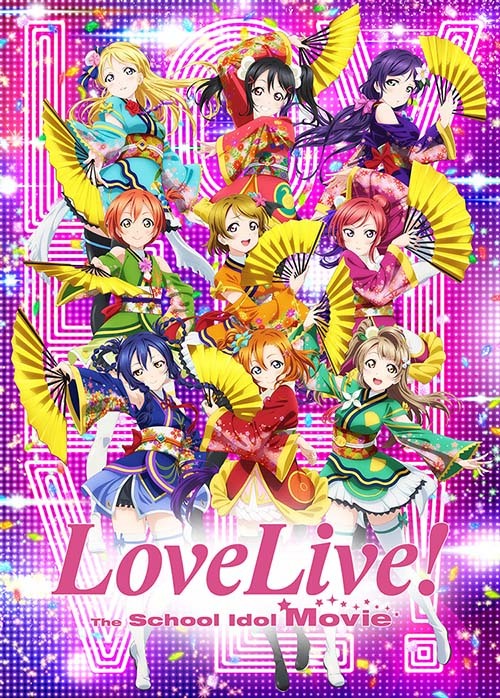 Love Live: The School Idol Movie: Back in 2013, we first met second-year student Honoka Kosaka and her efforts to save her school from shutting down by forming a nine-member idol group, µ’s. Now we’ve reached the point where the senior members are about to graduate and µ’s is ready to dissolve … until they receive news of a special event. Is this their last hurrah? Could this be a springboard moment for the rest of their lives? 4 p.m. Saturday, 1 p.m. Oct. 15 and 7:30 p.m. Oct. 28. “Japanese Mythology in Film”: Japanese mythology is at the core of a new book by Yoshiko Okuyama, an associate professor of Japanese studies at the University of Hawaii at Hilo. The book, Japanese Mythology in Film: A Semiotic Approach to Reading Japanese Film and Anime, takes a scholarly approach of analyzing films with such themes, including anime like Ghost in the Shell 2: Innocence, Spirited Away and Princess Mononoke, and the live-action Onmyoji, Onmyoji 2, Dororo, Mushi-shi and Departures. Join her for a talk on these topics — and maybe more! — at the University of Hawaii at Manoa, Moore Hall room 258, from 3 to 4:30 p.m. Friday. The talk is free and open to the public. Meet at the Diamond Head Landmark portal (www.ingress.com/intel?ll=21.265395,-157.82058&z=17&pll=21.265395,-157.82058 for those of you with scanners; about halfway between the Waikiki Aquarium and the Natatorium on the park side of Kalakaua Avenue for those who don’t). To the Enlightened, may the odds be forever in your favor. To the Resistance, umm … enjoy the cross-factional potluck afterward? Yeah. That’s it. 9 a.m.-4 p.m. Saturday. 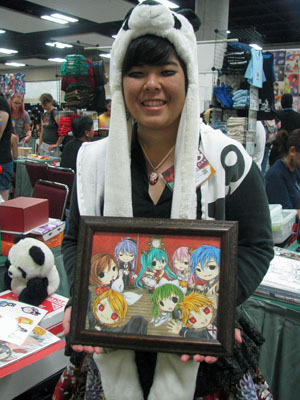 Anime Day at Windward Mall: Everything you loved about Kawaii Kon’s past Anime Days will be back for another round, including the Cosplay Runway, games, art activities (including the giant art wall! ), discounted three-day passes for Kawaii Kon 2016, a selection of Artist Alley vendors (including artists Jon J. Murakami and Roy Chang, and the Star-Advertiser’s own Erika Engle and her handcrafted jewelry!) and a mall-wide stamp rally for the chance to win a fabulous prize. All of this happens from 10 a.m. to 4 p.m. Saturday at the mall, 46-056 Kamehameha Highway. And, of course, admission is free! 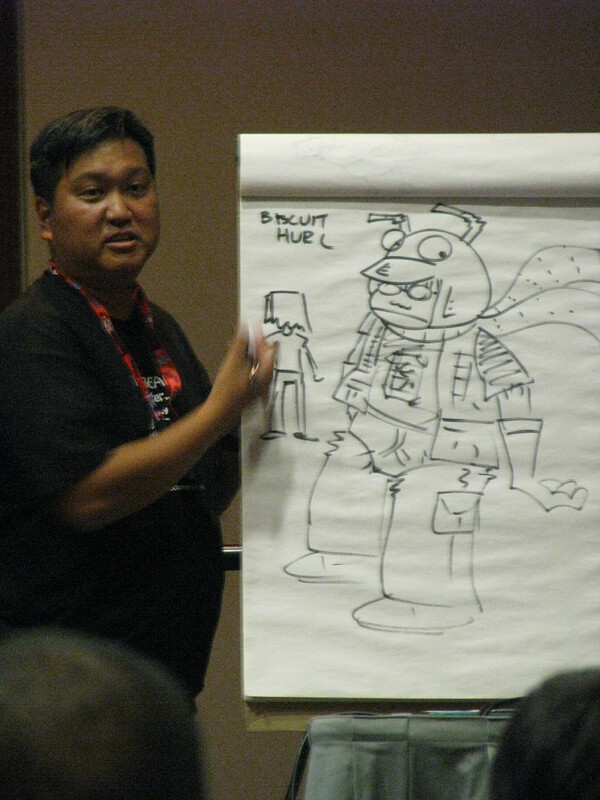 Gamer Expo 2015: Remember when I said last week that the second annual edition of what’s been called the state’s largest video game event would be happening Saturday at the Modern Honolulu? Hit the giant virtual reset button on those plans, because now the event is taking place a full 25 hours later, from noon to 10 p.m. Sunday at the Ala Moana Hotel. Aside from that very-important-albeit-coming-at-short-notice change, everything else remains the same: tournaments for pretty much all the hot games out there (Super Smash Bros.! Hearthstone! Halo! Street Fighter! League of Legends! More! ), a retro gaming section, and pretty much all the pew-pew-hack-slash-kick-punch-it’s-all-in-the-mind action you could possibly want. Special guests include Super Smash Bros. pro players Corey “False” Shin, Larry “Larry Lurr” Holland, William “Dkwill” Walsh, Max “Max Ketchum” Krchmar and Michael “MikeKirby” Alvare, and noted Hearthstone streamer Hafu. Professional cosplayers Leah Rose and Uncanny Megan will also be there! Presented by eSports HI; $25 general admission, $43 VIP pass. Keiki Courtyard Cinema presents My Neighbor Totoro: Twenty-seven years(!) after it was first released in Japan, the Hayao Miyazaki-directed tale of two girls and oh-so-huggable furry creatures of all sizes remains one of anime’s most beloved showcases. 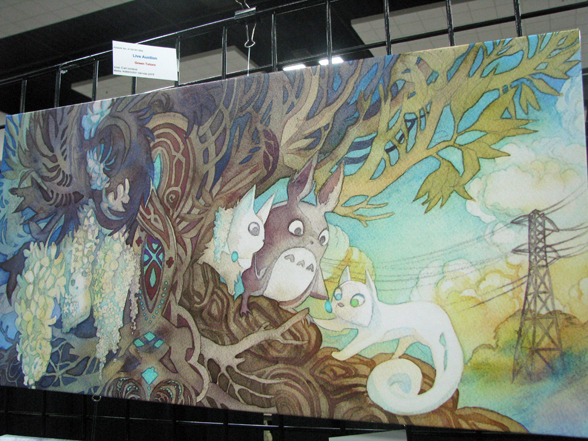 For proof, let’s go back to this year’s Kawaii Kon Art Auction. 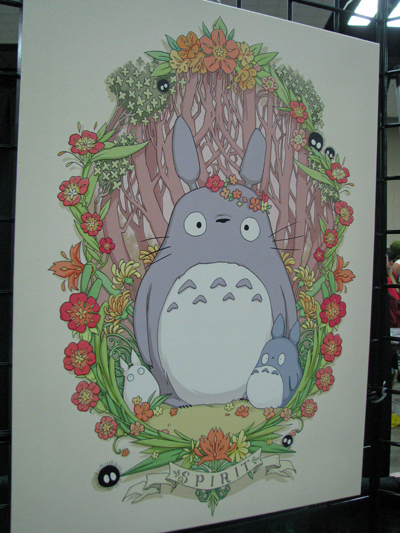 This is “Flower Crown Totoro,” a canvas print by Amanda Coronado. It sold for $270. This is “Green Totoro,” a watercolor canvas print by Cari Corene. It sold for $300. 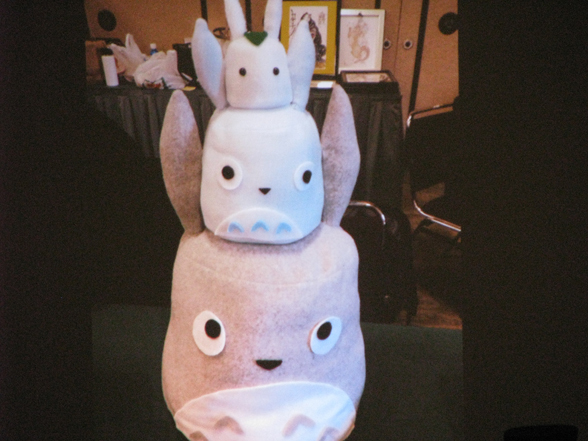 This is “Totoro Trio Happy Days,” a stack of plushies by I’m Sew Stuffed. It sold for $300. 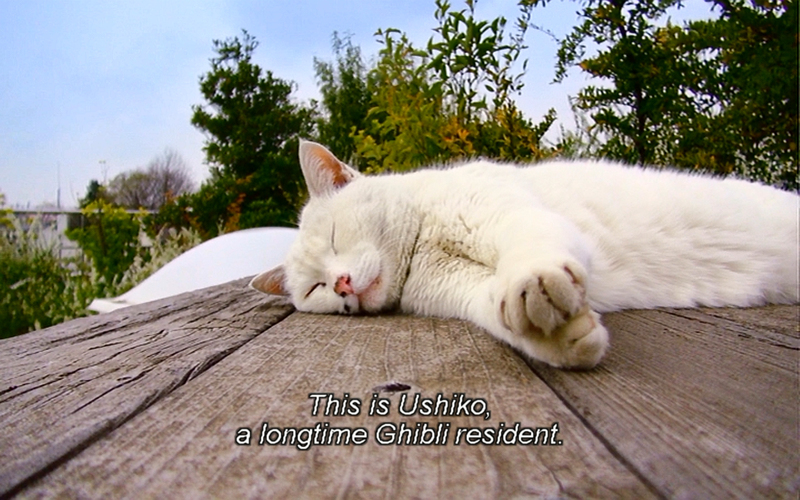 … you get the idea. Popular. Eminently bankable. And it’ll be screening for free at the Ward Village Courtyard — the revamped area by the IBM Building — as part of Ward’s ongoing Courtyard Cinema series. A food truck will be there, free popcorn will be available, fun and educational activities will be going on … sounds like a great time for the young and young-at-heart. Sure, it’s the English dubbed version, but it’s free Totoro. Come on. You have to love that. While the screening’s free, tickets are required and can be obtained via the Hawaii International Film Festival ticket site, hiff.tix.com/schedule.aspx?OrgNum=2034&VenueCode=14757. Gates open at 6 p.m. Wednesday; film starts at sundown. Anime Ohana: This convention, started by Kawaii Kon founder Stan Dahlin and Sentai Filmworks producer David Williams, will feature voice actors Jessica Calvello (Hange Zoe, Attack on Titan; Yuri, Dirty Pair), Monica Rial (Kaede Kayano, Assassination Classroom) and David Matranga (the title role in Orphen) and all the usual accouterments we’ve come to know and love from the other four conventions so far this year. Oct. 9-11, Pagoda Hotel, 1525 Rycroft St. For the latest news, visit the event page at facebook.com/events/742706302513876/; for passes (available in 1-3 day varieties for both children and adults), visit animeohana.com. 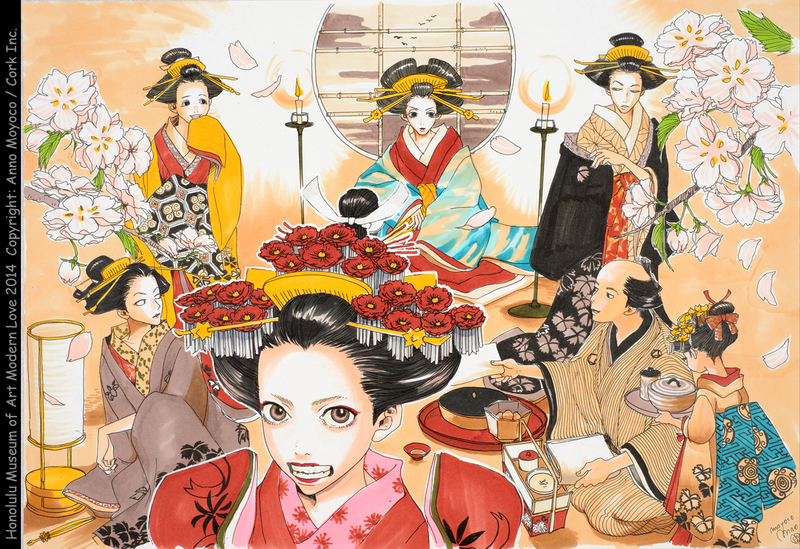 Author Jason S. YadaoPosted on October 1, 2015 Categories anime, Cel Shaded, Jason S. YadaoTags anime, attack on titan, ghibli, honolulu museum of art, jason, kingdom of dreams and madness, love live, when marnie was there1 Comment on Ota-cool Incoming: I’ve been waiting for this day!